Following on from Dr. Junger’s advice of giving our digestion a bit of a break, I decided to finish off the evening the same way as I started my morning. With a juice! This time a pink one, courtesy of the beetroot from my Abel & Cole veg delivery. Beetroot adds a musty yet sweet flavour to drinks which I’ve always enjoyed but may not be everyone’s cup of tea. 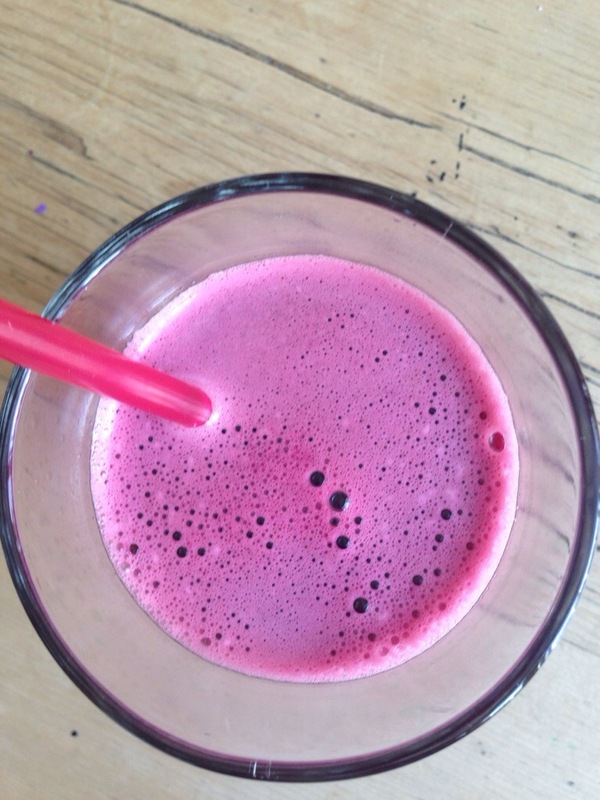 However, beetroot is a potent detoxifier and blood purifier – a real immunity booster. It is packed with vitamin B and C, a liver cleanser and supplier of iron which can be beneficial for those prone to anemia. It’s beautiful colour makes almost any drink look appetising, just remember to handle with care, the beetroot juice is not for the sloppy handed and can stain skin and clothes which can be near impossible to get off! 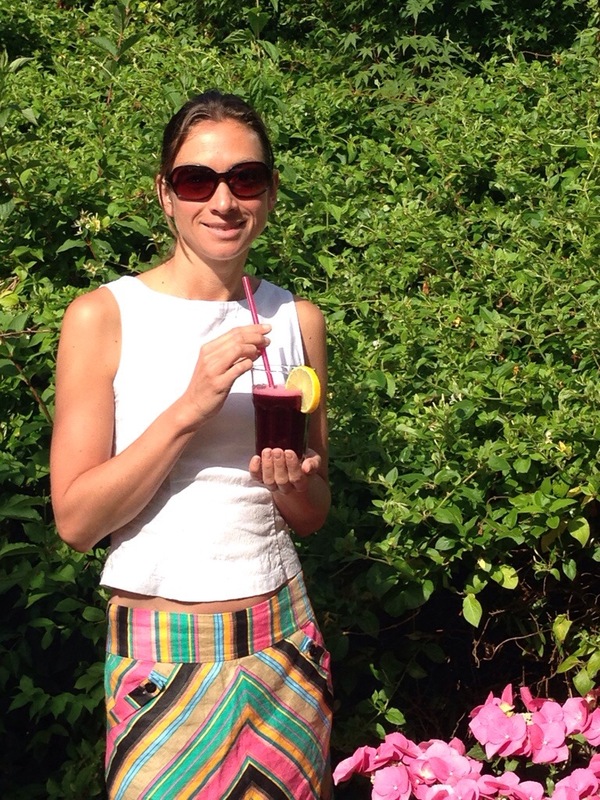 My friend Malin enjoyed her morning ‘cocktail’….